Kid Franckle was a teenage phenom in Millville, New Jersey. In March of 1909, he joined high school teammate Fred Gieg who was playing with the Greensburg team in the Central Basketball League. Franckle scored eighteen points in his pro debut. At the end of the season both young “professionals” enrolled in college. Gieg became a two-time All American at Swarthmore College and Franckle spent a season at Huntingdon College in Pennsylvania. In 1910, Franckle signed with Pop Morgenweck’s Kingston Hudson River League team where he reunited with another Millville High School alumni, Sam Curlett. Franckle immediately displayed the talents that would make him one of the premier professional players of the teens. He was a good ball handler and skilled passer who possessed outstanding speed and quickness.In 1913-14, he was a valued member of the Utica Indians, the New York State Basketball League champs. 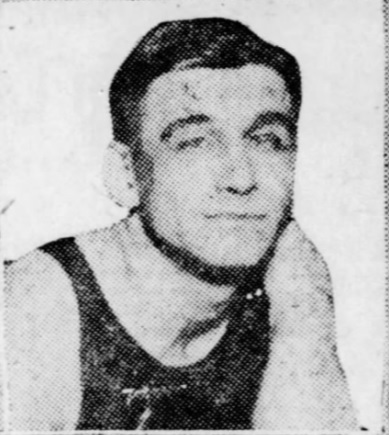 In the off season, Franckle declined to re-sign with Utica and instead choose to join the Trenton club in the Eastern Basketball League to be closer to his home in southern New Jersey. During the next four seasons, he was a consistent scorer on weak Trenton teams. Franckle’s fortunes changed after the World War I when he signed with Germantown. Playing alongside Nat Holman, Franckle was a key figure on the 1920-21 Germantown EBL champs.